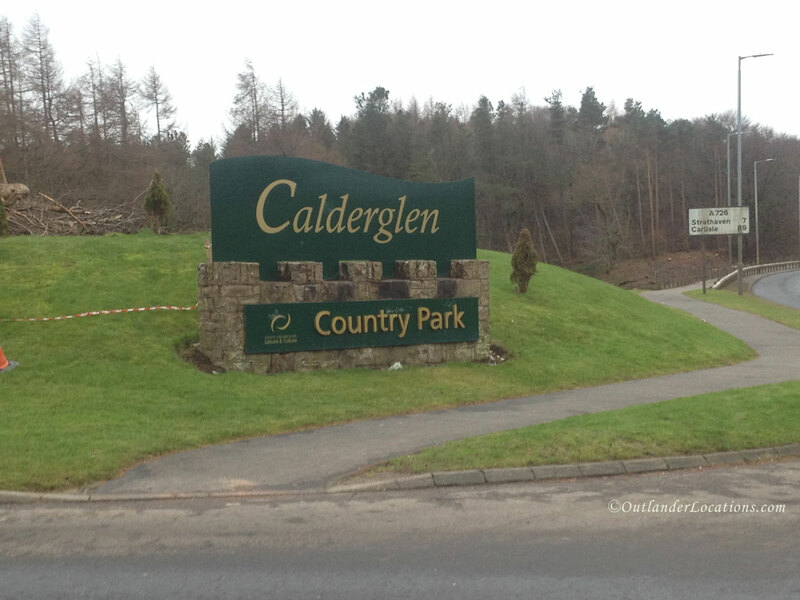 Sam Heughan was seen with the Outlander cast and crew at Calderglen Country Park in February 2018. 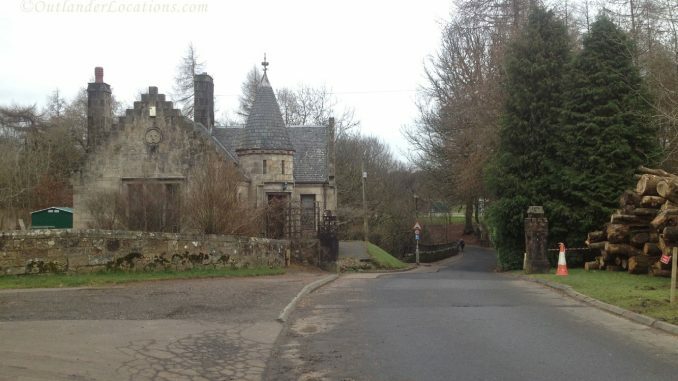 We suspected, and had it later confirmed by @TonnaRob, that this location was used for scenes in episode 4.06, “Blood of my Blood”. 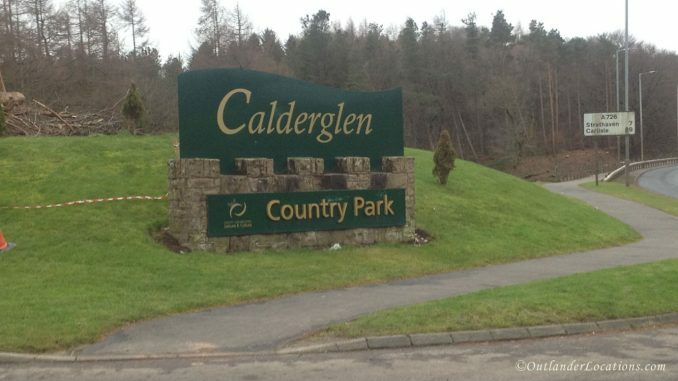 Calderglen Country Park is a recreational park in the town of East Kilbride in South Lanarkshire. 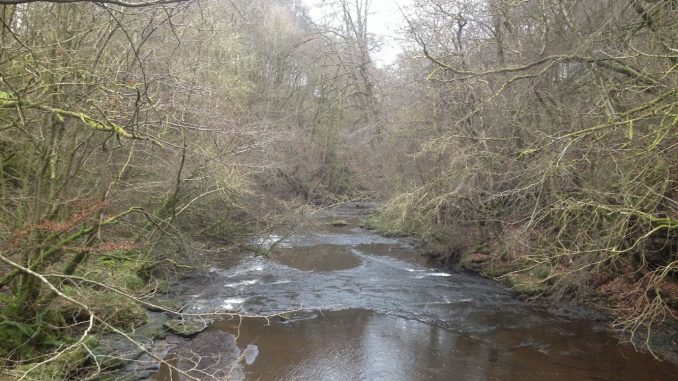 As well as having a zoo, ornamental gardens and a golf course, the park includes Torrance House, an impressive 17th century tower house, and a picturesque wooded glen forged out by the Rotten Calder River. 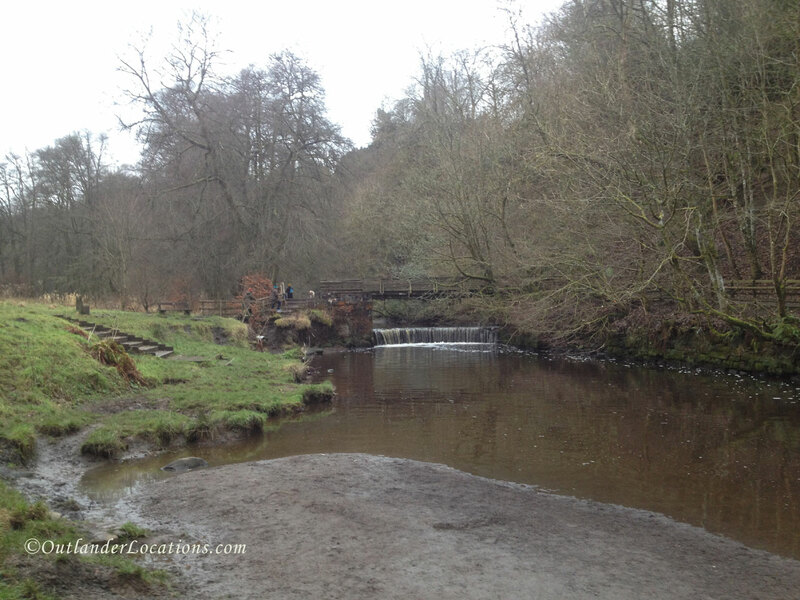 With much to offer visitors, Calderglen Country Park attracts a lot of visitors. 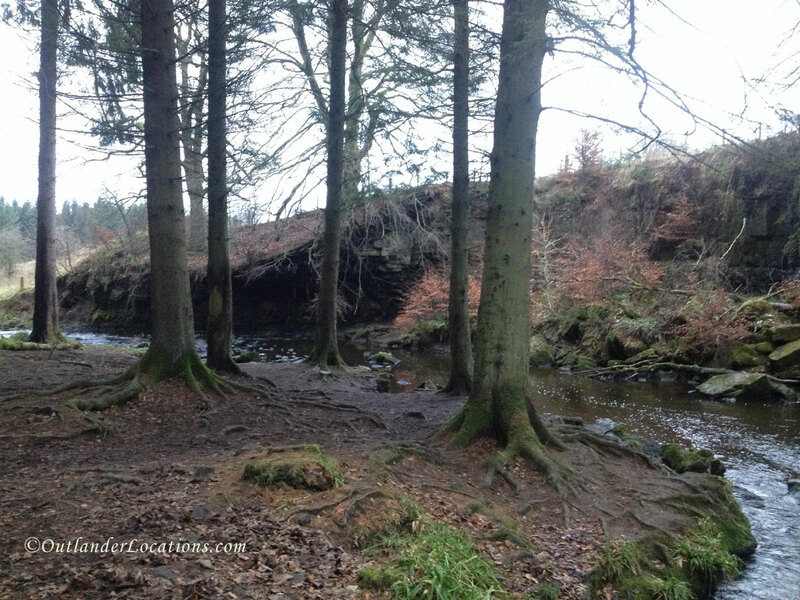 For those looking for wilderness, it provides a significant area that could be easily mistaken for highland wilderness. 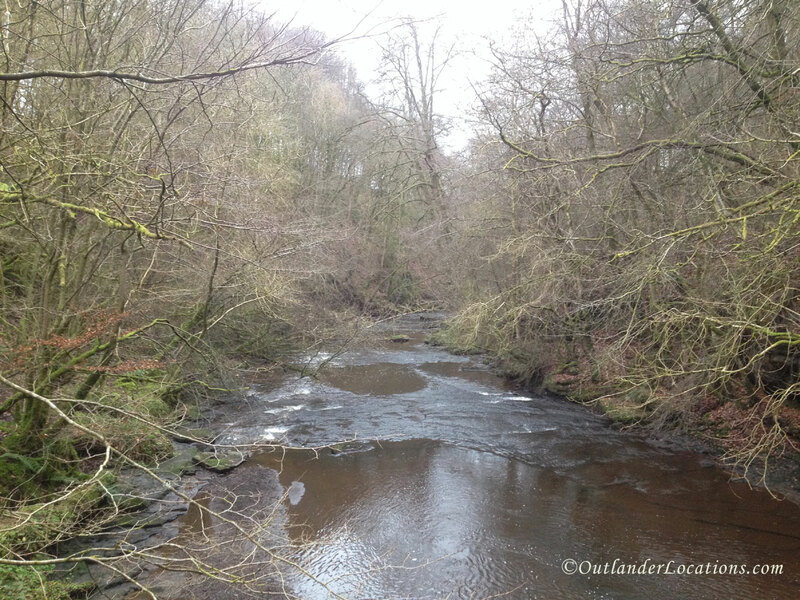 The Rotten Calder River provides the focus for the wilderness trails, with wooded areas on either side. 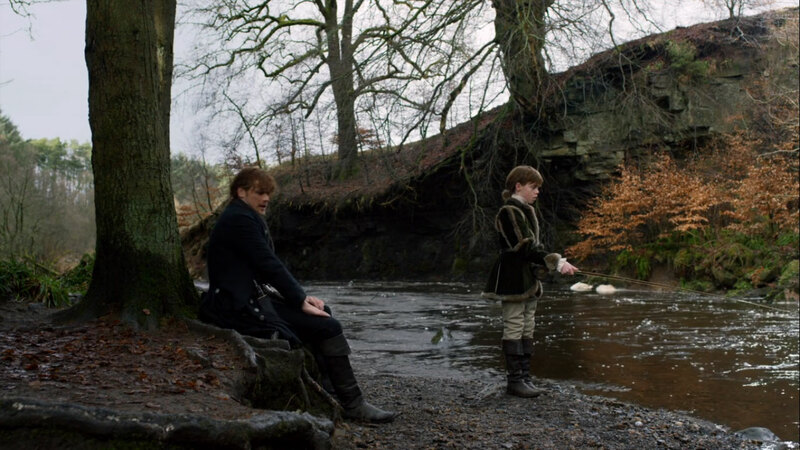 Scenes featuring Jamie and Willie on their camping trip were filmed near Horseshoe Falls, a scenic area near a waterfall that (not surprisingly) has been built to the shape of a horse shoe. 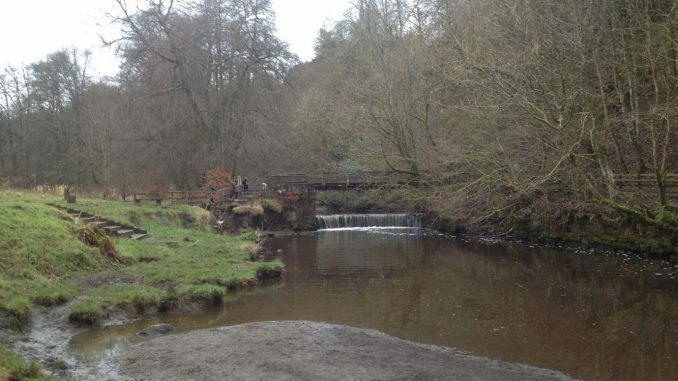 With the help of a nice lady out walking her dogs, we found the falls. 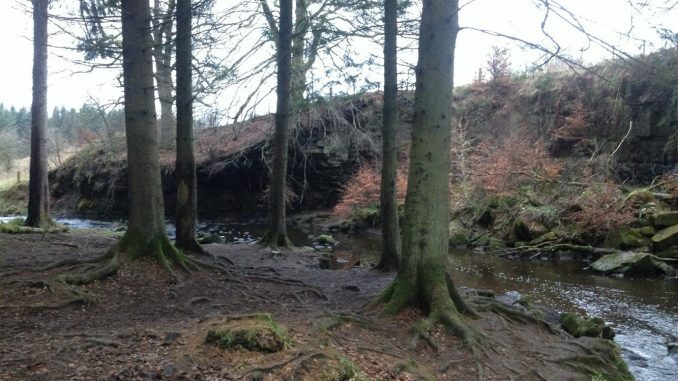 Originally, we thought this area, right next to the falls, may be where Jamie and Willie camped. However, comparison to screen grabs from the episode suggested otherwise. Most notably, the background lacked the vegetation seen on TV. 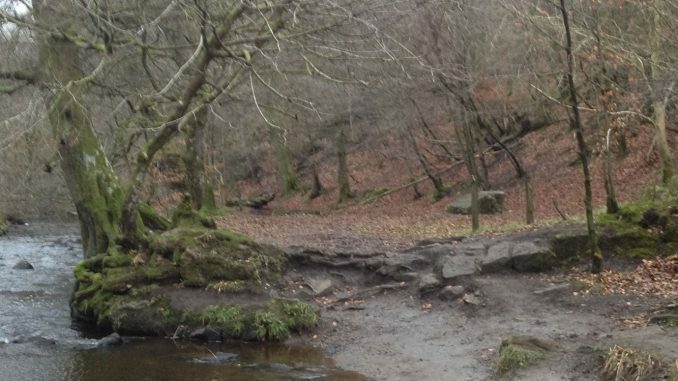 It’s possible that this is the site of the scene with the fish and native Americans, but we can’t say for sure. 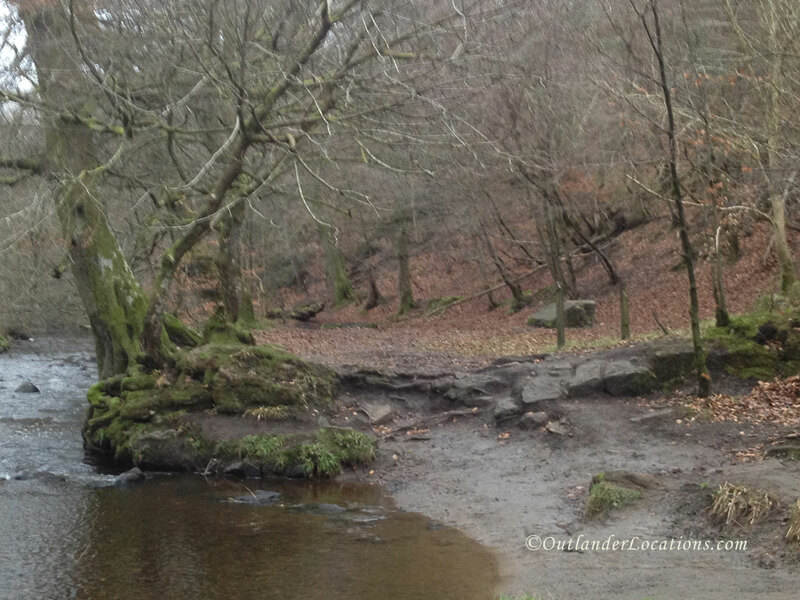 Undeterred, we continued, heading downstream. And our efforts were soon rewarded! Seeing an area that looked familiar we had a closer look. This was it! 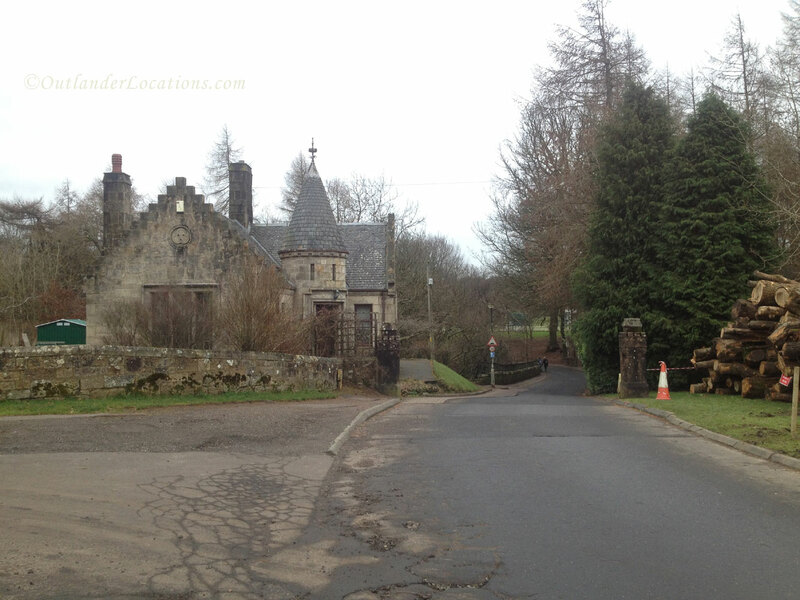 It was the camp site used by Jamie and Willie.